For your average homeowner looking at the specs of HVAC units is like understanding a foreign language. 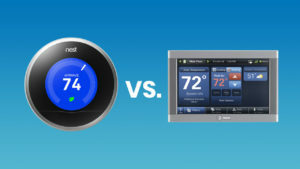 This blog is to help you understand the meaning of SEER rating and how it can save you money. 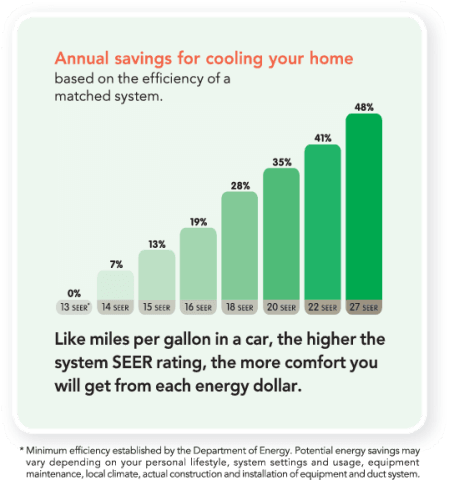 SEER or Seasonal Energy Efficiency Ratio rating rates the cooling output of an air conditioner over a typical cooling season, divided by the energy it uses in Watt-Hours. Seasons are simulated by using a constant indoor temperature and a variety of outdoor temperatures ranging from 60° to 100°+. 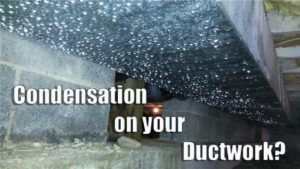 Home-Owner terms – SEER rating relates to how much energy; therefore, money an HVAC unit will cost, or with an upgrade save, you for operation over the course of one year. You may be thinking, so what is a good SEER rating? The answer to that is not as simple as me giving you a number, for there is not a magical SEER rating number. The United States Department Of Energy (DOE) established minimum efficiency requirements for all new HVAC units. The minimum standard SEER rating for air conditioners differs by geographical region; the Southeast and Southwest is 14 and it drops to 13 for the North. HVAC manufactures have made significant advancements in technology and efficiency, so you will find many options that go above and beyond the minimum requirements established by the DOE. Air conditioners on the market today range from 13 to 27 SEER rating. The higher the SEER rating the greater the energy efficiency; therefore, the more efficient the unit. What does mean for the homeowner? It means the more money you’ll save on utility bills! Getting an air conditioner with a higher SEER rating means being more energy efficient ultimately saving money while making your home feel more comfortable during the summer months. If you’ve got an older HVAC unit with a depleted SEER rating, lets’ say 8 and you replace it with a 16 SEER rating unit you will see your savings instantly on your utility bill and typically in less than two years it will have paid for itself in savings. I’m sure you’ve heard the HVAC – car comparison: annual maintenance is as necessary as oil changes. Well, here’s another: the SEER rating is like comparing highway miles per gallon to city miles per gallon. If your SEER rating is 18, that’s the maximum efficiency, so it could be lower depending on conditions. Your system may still be functioning just fine, but if your HVAC is 10 years old or more chances are you are spending way to much on your utility bills. With a new HVAC installed by your service professionals at Delcor your home will feel more comfortable, you will enjoy the lack of indoor humidity and hot/cold spots, but not as much as you will enjoy the savings on your utility bill. Give us a call at Delcor for an estimate today!